Two years ago I put together a plan to replace our aging maintenance equipment with new leased modern equipment. At the time, we were spending almost as much as our current lease costs each year on parts alone! There was also the time I spent fixing the equipment and the time my staff were not working efficiently as their mowers seemed to be broken more often than not. This was a great opportunity for us to both modernize our fleet, but also build in some equipment inefficiencies specific to our course and operational needs. In the past we had 2 mowers set aside for mowing tees and greens. Each mower was basically the same but the cutting units were set at different heights of cut. This worked great but when I was looking at getting new equipment on lease it was just too costly to do this with new equipment. What I decided to do was get one really nice mower that could do it all. We needed a mower that was all wheel drive, was versatile on all types of terrain and had quick change cutting units. 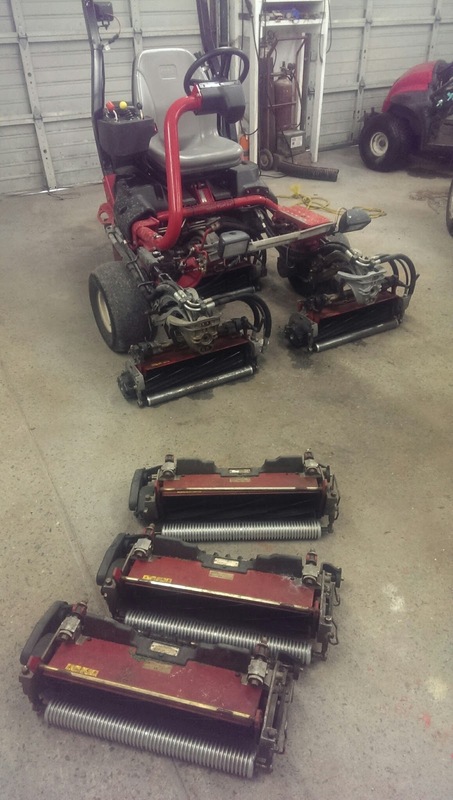 We got 2 sets of cutting units, one for greens and the other for tees and approaches. This would allow us to cut at two heights of cut but use the same traction unit to do so. This cut down on our lease costs but allowed us to have the latest mowing technology for all fine turf areas of the course. Our tee units have rear roller brushes as we don't collect the clippings on our tees and wanted to minimize clumping. On greens I have found roller brushes to actually increase the clumping although they do keep the HOC more consistent. We clean our rear rollers after each green just to keep things pure. This was especially useful as we only cut our greens every other day while rolling daily. This reduced the impact of having only one mower for two jobs would have. We also have a small crew so even if we had two mowers we wouldn't' have the manpower to cut both at the same time. 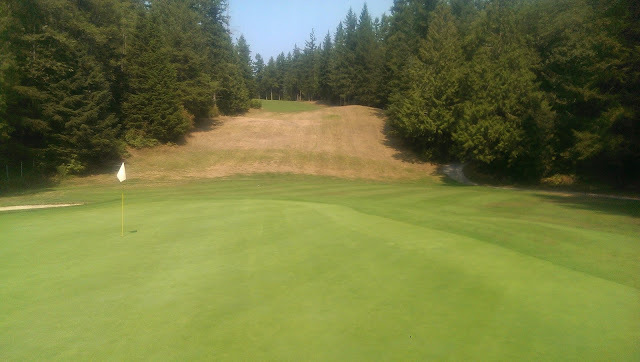 With this mowing strategy we have also been able to keep hours down on the unit and should be able to get at least 7 years of reliable service from it based on historic use patterns with toro triplex mowers. The only downside has been during the odd breakdown. If the traction unit goes down, we don't cut anything! Luckily I kept our old junker mowers so that we can get some mowing done in a pinch. They are high hour units and work just fine in an emergency situation. If you are looking at getting new equipment and mow and roll your greens alternately I would highly suggest getting one mower to do the job of both!